Share that with your friends on social networks! 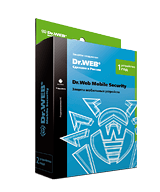 The number of free Dr.Web for Android licenses is equal to the number of PCs covered by the license purchased for PC/Mac protection. Use a serial number/key file you received when you purchased your Dr.Web license. The number of threats targeting mobile devices is skyrocketing. How can malware affect Android? The course describes major threats (including malware designed to steal money) to Android devices and explains how to use Dr.Web to resist them. The course describes how to install Dr.Web and tells about the nature of protection components so users will be able to properly configure an anti-virus on a mobile device. 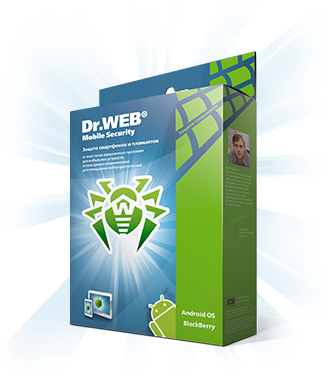 We invite manufacturers and resellers of Android devices to protect the handhelds with Dr.Web anti-virus for Android, which is trusted by dozens of millions of users all over the world. 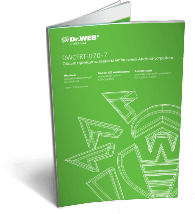 Protect your merchandise and profit from renewal of Dr.Web licenses. Anti-virus in Russian means Dr.Web! 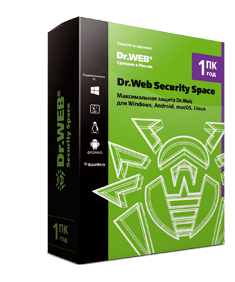 Doctor Web is the Russian developer of Dr.Web anti-virus software. Dr.Web anti-virus software has been developed since 1992. It was one of the world’s first anti-viruses. You don’t have a Dr.Web license yet? This can be easily fixed! Recommend Dr.Web and get 10 Dr.Weblings! Do this by following the link from email that is sent once you’ve registered your serial number. Share information about Dr.Web products with your friends on social media. You don’t have active Dr.Web licenses? This can easily be fixed!